This systematic treatment of the diatoms details the fascinating diversity of this large and important group of algae of our fresh waters. 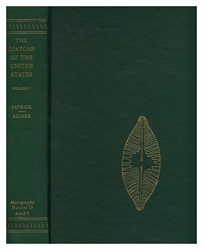 This volume represents the first of a two-part systematic treatment of the fresh-water diatom flora of continental U.S. exclusive of Alaska. Besides those taxa found in fresh water, a few taxa found in estuaries of rivers and belonging to genera that commonly occur in fresh water are included. No strictly fossil species are included; however, many of the species embraced are found in recent fossil material. Although this book is concerned with the U.S., it should be helpful to the students of diatom floras in Mexico, Canada and other areas. Illustrations. Saved by Drexel University’s former President, the David Rittenhouse Astronomical Musical Clock, built in 1773, is an engineering marvel. As the Philadelphia Inquirer profiles (also in PDF): it tells the time, date, positions of the planets, the phases of the moon and signs of the zodiac plus plays melodies. This clock was the masterpiece of David Rittenhouse’s clock-making career and is a national historical treasure. Author Ronald Hoopes is a retired development engineer with a degree in electrical engineering from Drexel University. An avid clock and tool collector, he makes cabinet and movement replacement parts for clocks that are faithful to the originals. More than 100 color photographs illustrate the clock’s million-dollar restoration. 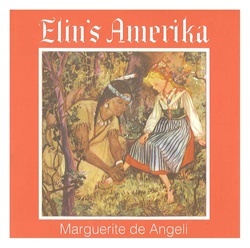 Award-winning children’s author Marguerite de Angeli tells the story of Elin, a young girl living in the New Sweden Colony. She helps us envision how Swedes, Finns, Lenape, Minquas (Susquehannock), Dutch and British related to one another. Elin’s search for friendship, love of family, and anticipation of celebrations seem familiar. But her isolation from other children, lack of basic things and the daily routine of chores may seem quite unfamiliar. New Sweden was established in 1638, under the guidance of Peter Minuit, when Swedish colonists were sent to the New World to claim lands in the area around the Delaware River in southeastern PA and south NJ. For ages 8-12. Illustrations. Saint Augustine of Hippo: Brilliant scholar…Wayward son who refused to accept his mother’s Christian religion…Troubled father. Henry Coray has written a thrilling novel of the life of Saint Augustine, bishop of the Church who came to faith after a lifelong struggle against it…who tried adventure until it bored him, who tried scholarship and found it wanting, who tried possessive love until he lost it, who finally found Christ. One of the remarkable men of his time — or any other — lives again in this novel, which brilliantly recalls Saint Augustine’s spirit, vitality, genius, and passion. Above all, here is a story of love, sacrifice and hard won faith that will hold your attention to the very last page. In shrink wrap. An international history on the field of chemistry, integrating the story of chemical science with the chemical industry, and emphasizing the developments of the 20th century. This new edition includes events from 1990 to 2000–when companies began selling divisions to specialize in a particular business. While many companies gained short-term profitability, long-term loss was at risk as specialization threatened their competitive edge and shareholder value. Companies that remained broad and diversified–“contrarians”–stood to gain advantages and profit in the long term. Explores the successes of the true contrarians, using BASF, Dow, and Bayer as examples, and the downfall of firms less able to cope with the vagaries of the new economy. 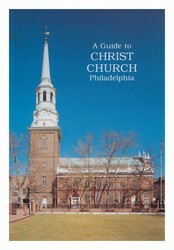 This booklet introduces Christ Church in Philadelphia, a majestic building that gives testimony to vision, faith and courage. In 1695, 39 pilgrims started an Anglican parish in a Quaker city. In 1727, the cong. transformed their small building into the most beautiful, majestic and grand sanctuary in the colonies. In 1754, master builder Robert Smith built the church, whose steeple marked the highest structure in the colonies. Contents: Building of Christ Church; Steeple and Tower Room; Historic and Symbolic Objects Belonging to the Church; Christ Church in 18th Century; Christ Church in 20th Century; Bishop White; Rectors of Christ Church; Church Library; Early Church Archives; Graveyard and Signers of Declaration of Independence; Christ Church Preservation Trust; Dates in the History of Christ Church. In this unique book on the history of science, author Stuart Green writes emails to Benjamin Franklin, who died in 1790 but whom Green imagines coming back to life, about developments over the past two centuries: “I have written these emails assuming that you carried out the wish you described in 1773: ‘I should prefer to any ordinary death, being immersed in a cask of Madeira wine…to be later recalled to life by the solar warmth of my dear country.’” These emails inform Franklin of progress in science, medicine and technology from his time until now. Includes more than 70 portraits of Franklin’s friends and relatives, and of researchers who have led medical and scientific advances during the past two centuries. Illustrations. This 700-page volume contains the full text of Germantown’s 17th and 18th century town records in their original languages and English translation. Also includes extensive appendices on the naturalization records of Germantown’s first residents and their landholdings through the year 1714. This book is the product of 15 years of labor by J. M. Duffin, a distinguished Fellow of the Genealogical Society of Pennsylvania (GSP). 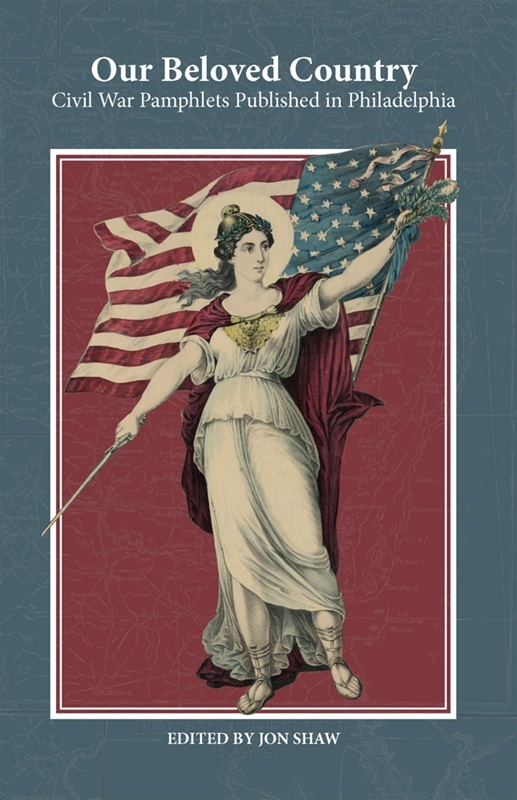 Duffin edited the book and wrote the comprehensive Introduction, while Prof. Don Yoder of the University of Pennsylvania (and Fellow of the GSP) wrote an informative Foreword on Germantown’s role in the history of Pennsylvania and German immigration to America. This catalog records an exhibition held at the Historical Society of Pennsylvania (HSP). 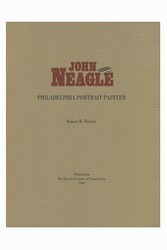 In 1861, John Neagle recorded on canvas his earliest-known association with the HSP. When he painted the appearance of three Plains Indians visiting Philadelphia in 1821, he was an artist functioning as a historian. The HSP has collected 15 of Neagle’s paintings, and its manuscript holdings on the artist were impressively augmented in 1985 through the generosity of the Barra Foundation. Author Robert Torchia has helped restore this long-underrated painter to his proper place in American art history. In planning the exhibition upon which this catalogue is based, Torchia selected paintings and related material from 14 private and public collections in the Delaware Valley. Illustrations. Ideal guide to the birdwatching experience, with black and white illustrations and four-color photos. All the essentials for the beginner to enjoy birdwatching are covered, including equipment, ID techniques, field guides, optics for birders and birding by “ear.” Chapters include viewing bird behaviors such as feeding, flight, feather care, nesting and migration so the birder understands not just what kind of bird it is, but what the bird is doing. Appendices cover everything from birding organizations to birding publications. These Civil War pamphlets provide insight into the views of a northern city’s Union supporters during a time of national reform and rebellion. They represent Philadelphia’s intellectual output during the war and stands as evidence of the intellectual ferment the war engendered. They illustrate how pro-Union constituents tried to maintain a cohesive movement in Philadelphia while promoting national reunification. The twelve pamphlets and one hymn discuss victory and peace; liberty, unity, and the abolition of slavery; organizing support for the Union, Lincoln, and freed slaves; adjustments to the Constitution and justifications for suspension of habeas corpus; the merits of the Union League of Philadelphia’s cause; and medical remedies for soldiers. Illustrated.